The College and University Business Officers (CUBO) annual summer conference aims to provide a focal point for members to gather and share their experiences. This year the conference took place at Manchester Metropolitan University from 27–29 June. 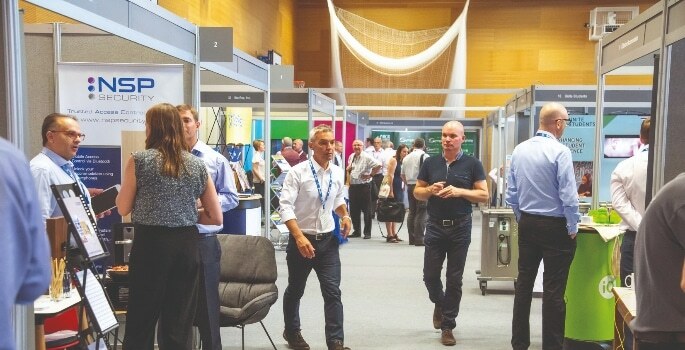 During the three-day event, 45 exhibitors and more than 100 delegates from universities across the UK met to discuss how the principles of business agility can help the higher education sector to thrive in an ever-changing landscape. The packed programme included an opportunity to learn from the students of tomorrow, with sessions focusing on sharing knowledge and supporting members to deliver an excellent student experience. The event’s first keynote speaker, Professor Malcom Press, Vice-Chancellor of Manchester Metropolitan University opened proceedings with a welcome to Manchester Met and set the scene with an overview of the current HE and political environment. Adam Kingl, Executive Director of Learning Solutions, Executive Education at London Business School, then provided a practical approach on how to survive challenging times. Later that evening, CUBO’s annual award ceremony took place. Our host for the evening, actor, television presenter and radio broadcaster Ted Robbins, did a great job providing informality and humour but also provided an opportunity to celebrate the diversity of work going on to deliver great campus experience in HE and excellence in the sector. Day two of the conference saw international best-selling author and renowned motivational speaker Michael Heppell take to the stage to speak about challenging belief systems and delivering excellence, in what was an energetic and insightful session. 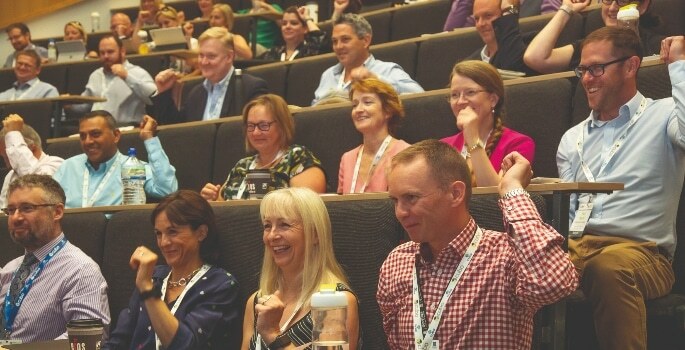 Following on from the success of the workshop format in Kent last year, delegates could choose from a selection of sessions tailored to their own interests. Susan Powell, Professor of Public Health at MMU delivered a fascinating talk on The UK Healthy Universities Network – a holistic approach to the health and wellbeing of students and staff. Here, Susan discussed the results of extensive research the University had undertaken in order to gain a deeper understanding of the wellbeing of its students. She also explained how universities can get involved in the Network. There were also other engaging and insightful sessions on ‘leadership in the 21st century’, ‘creating a culture of confidence and engagement’, and ‘successfully overcoming resistance to change’. The smaller sessions are a great opportunity for groups to discuss their own ideas and experiences, and to share best practice. Another keynote was delivered by Alice Webb, Director BBC Children’s and BBC North. She shared with delegates her experience of successfully orchestrating the BBC move to Manchester. 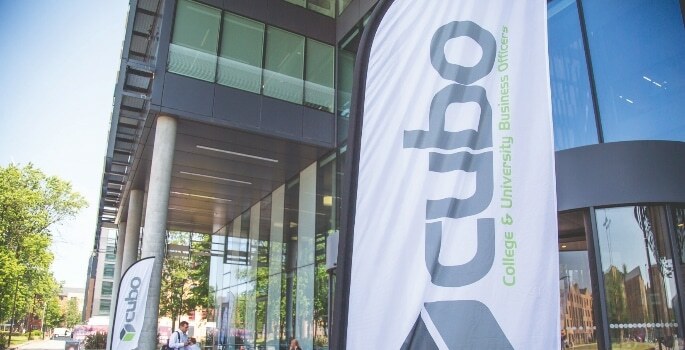 “We are very grateful to Manchester Metropolitan University and the CUBO team for putting on such a good conference,” said CUBO Chair and Director of Commercial and Campus Support Services at the University of Leeds, Stewart Ross. CUBO members are drawn from senior levels at the majority of UK higher education institutions. They are professionals in senior positions reporting mainly to a University senior officer such as the Principal or Vice-Chancellor, Secretary or Registrar.